DETROIT, Nov. 1, 2018 /PRNewswire/ -- The North American International Auto Show (NAIAS) has opened online media registration for the 2019 auto show's Press Preview, Jan. 14-15 at Cobo Center in Detroit. 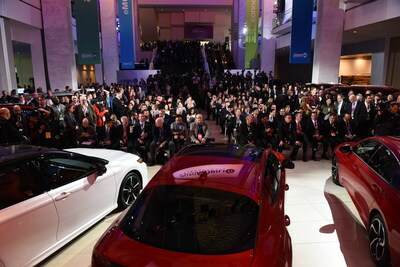 "The North American International Auto Show serves as the global stage for automakers, suppliers, and tech startups to showcase their newest innovations and products to thousands of domestic and international press and industry leaders," said Bill Golling, NAIAS Chairman. "The international platform our show provides for this vast array of organizations and thought leaders gives media unmatched opportunities to reach the highest levels of innovators across the globe." Media credentials are required for entry into the 2019 NAIAS and provided to qualified journalists only. To qualify, applicants must be working in print, broadcast or social-based/website media. All people entering the show floor with credentials during Press Preview days will be required to present additional identification (a current driver's license or passport) for validation. NAIAS credentials are non-transferable.